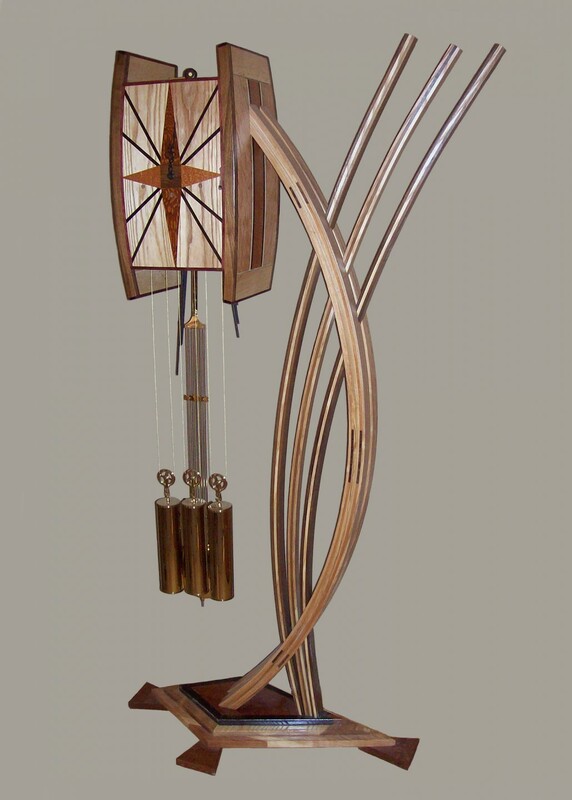 This is a very unique art deco clock with the unusual design of the clock be on the side of the base. It is made from the following woods: Leopard wood, wenge, cherry, walnut and ash. Just a clear finish is used to highlight the woods. Note: this is a custom order.